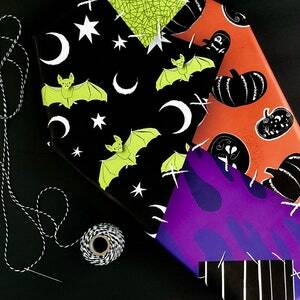 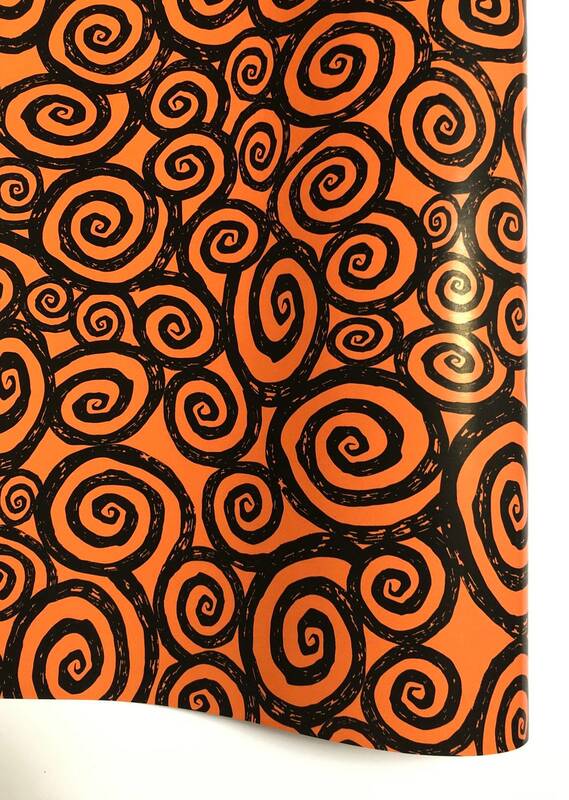 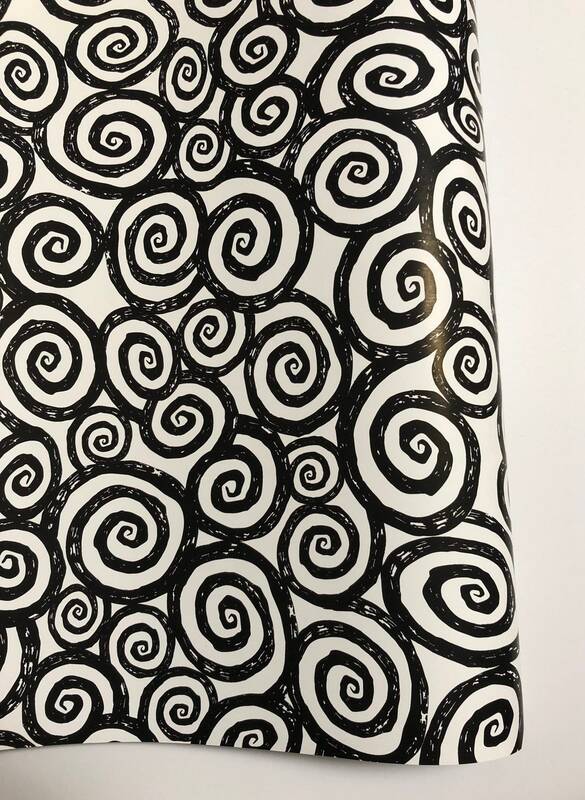 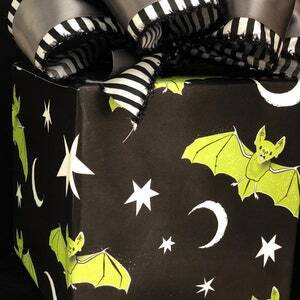 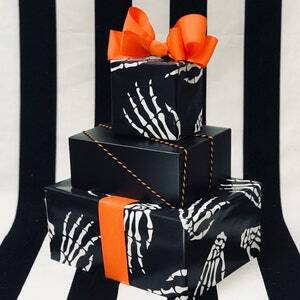 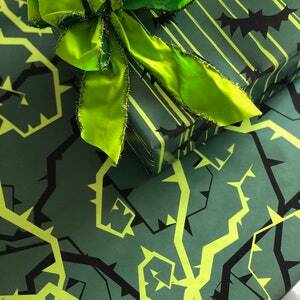 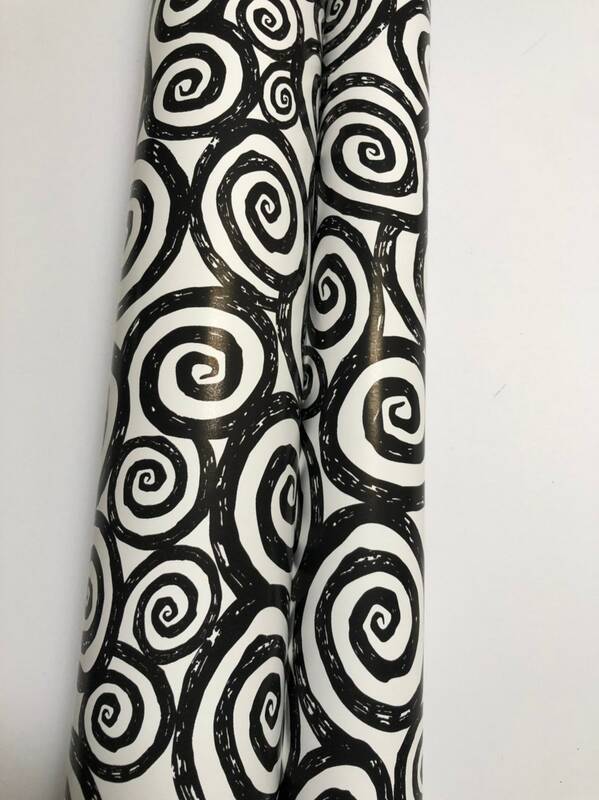 You are getting very sleepy...and you want to wrap all your presents with this spiral paper! 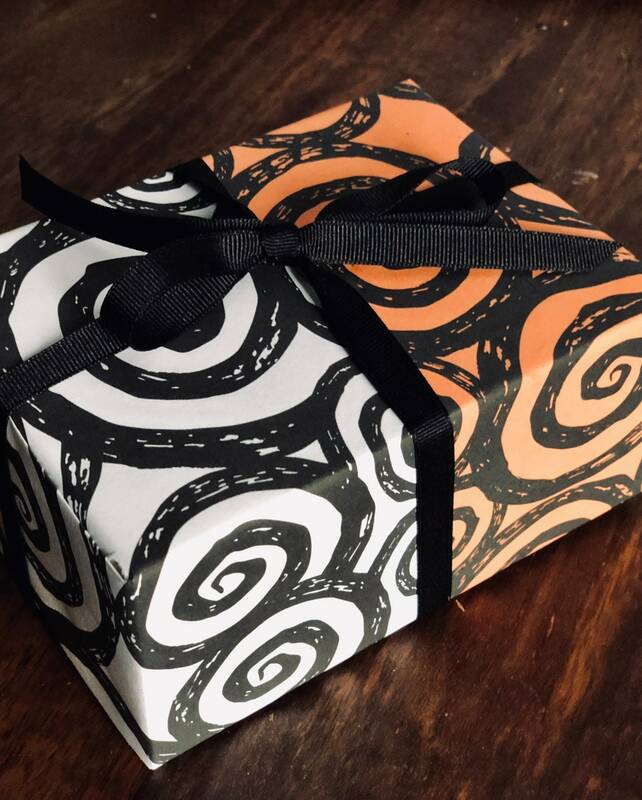 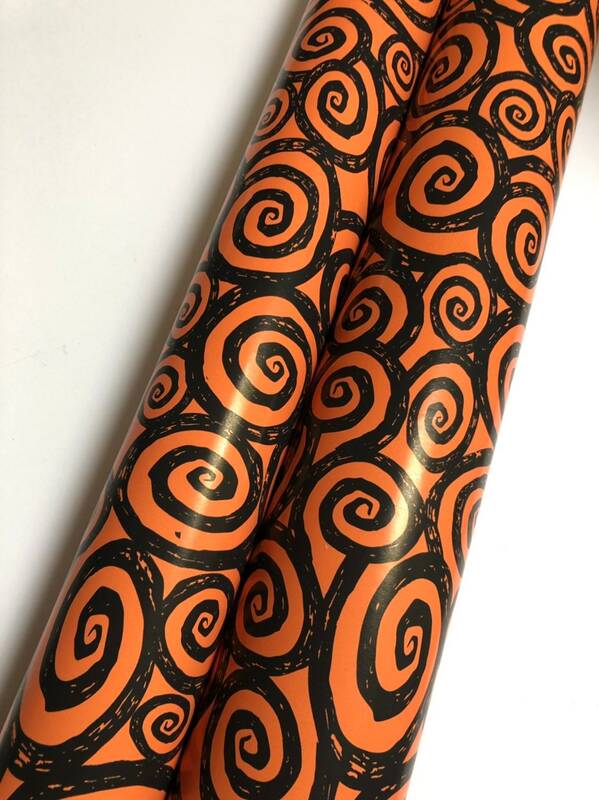 Black swirls decorate this roll of paper and half of the roll is white and half is orange so you have two different colors you play with! 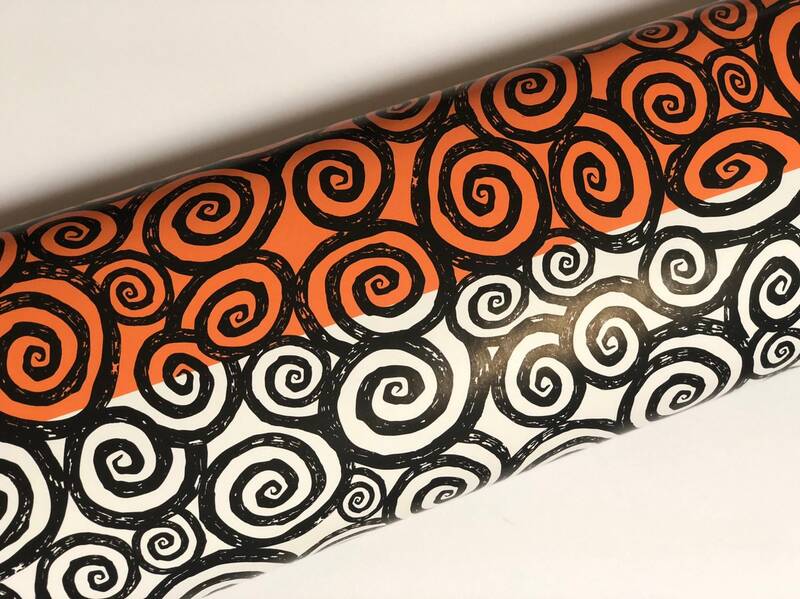 I love using the very middle of the paper for a clean line with both colors!